The first time I took a class with Dr. Freberg, it was spring 2012 and the class focused on strategic communication. In this class was the first time I was introduced to the idea of crisis communication. Crisis communication focuses on the protecting and defending of an individual or company when facing a crisis that could affect it’s reputation. While that case did not necessarily take place on social media, it was a hot topic all over social media sites and as I mentioned several press releases were released that went viral. But now I would like to discuss an example of social media and crisis communication that just recently happened. Let me first say that I apologize for the language that is about to be seen, it is not my own and I am simply showing what was said. 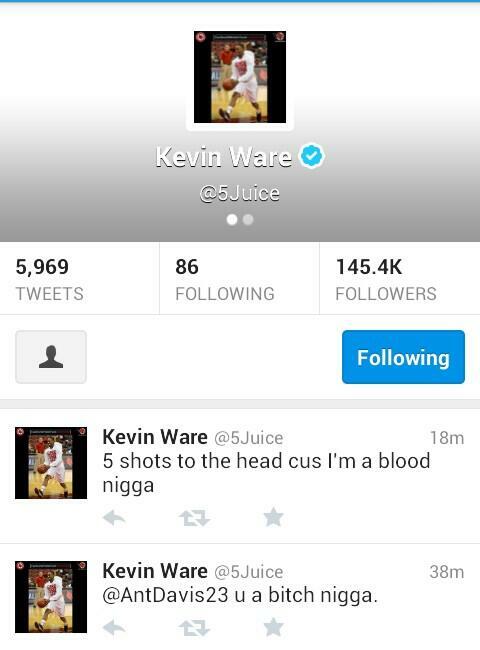 Kevin Ware, member of the University of Louisville’s Men’s Basketball team, sent some vulgar tweets to former University of Kentucky Men’s Basketball team member Anthony Davis, allegedly because of a girl. While the tweets have now been taken down, of course they were screen shot, see below. The power of the screen shot was utilized here, because had it not been screen shot, there wouldn’t be any proof the crisis occurred. 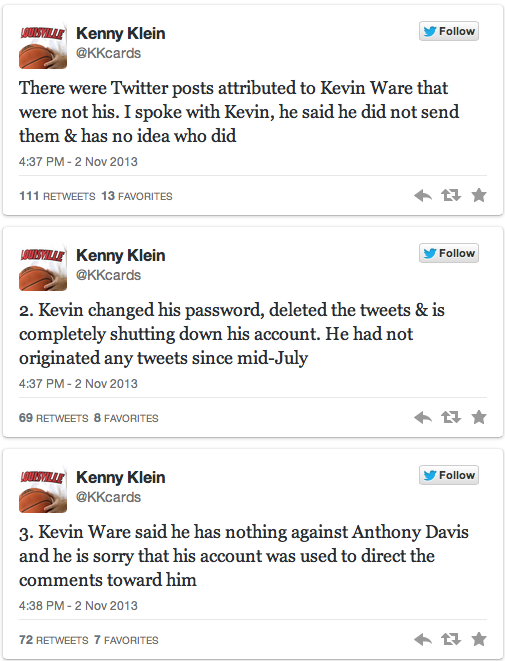 Quickly, the tweets were taken down, and soon followed Kevin Ware’s entire Twitter account. And then immediately following was a statement via Twitter from the University of Louisville’s Senior Associate Athletic Director for Media Relations, Kenny Klein. See that screen shot below, I love screen shots. This case is undoubtedly a case of crisis communications and social media. 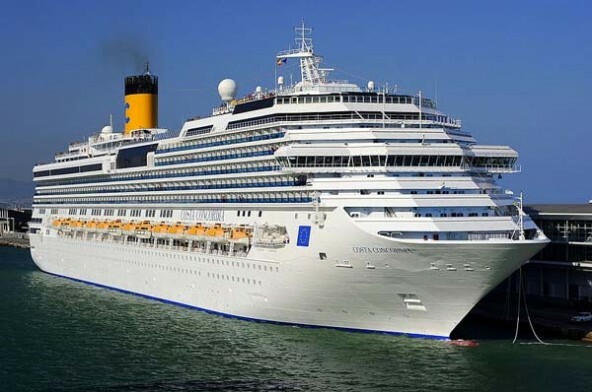 The crisis took place on social media and was corrected via social media. The crisis really was that it made the University of Louisville look bad, because athletes are such huge representatives of the University. 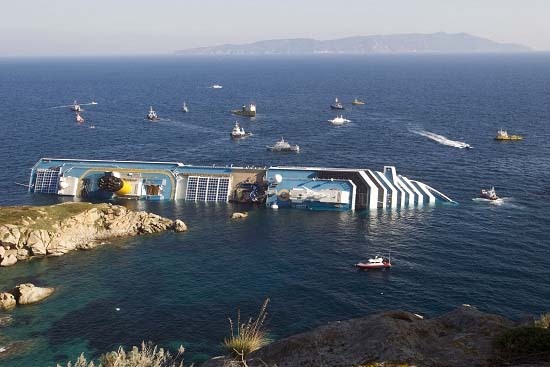 However, the situation was quickly taken care of, leading to the question crisis.. what crisis? The way in which this situation was handled and the urgency leads to the belief that the University was prepared for something like this to occur. Being prepared for a crisis to occur to something I would like to address before ending this post. I did not simply want to just give you all examples of crisis communications. I believe it is just as important as to know and understand the examples, as it is to know how to prepare and what steps to take in a crisis situation. I found this site: http://socialbarrel.com/social-media-crisis-management-infographic/53952/ to be extremely informative in just those areas. I will share the infographic, which is actually in general one of the best infographics I have seen, below that I think sums it up very well.